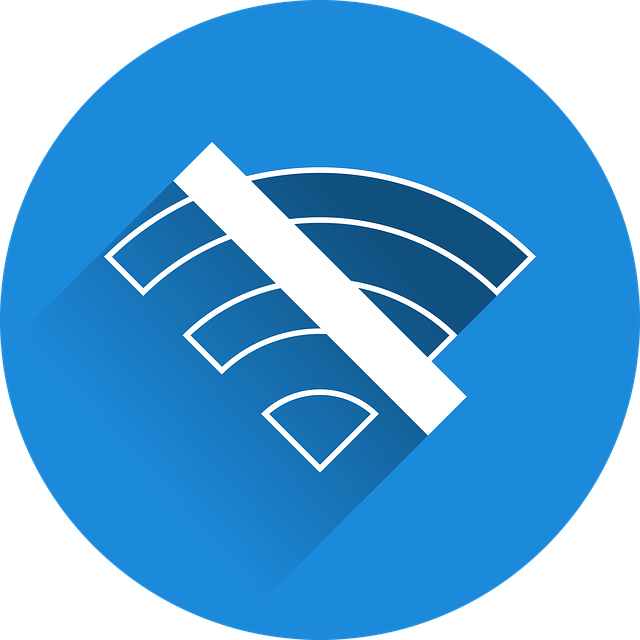 Today, a customer called me and reported, on the first sight, a pretty weired error: Only Windows clients were unable to login into a WPA2-Enterprise wireless network. The setup itself was pretty simple: Cisco Meraki WiFi access points, a Windows Network Protection Server (NPS) on a Windows Server 2016 Domain Controller, and a Sophos SG 125 was acting as DHCP for different WiFi networks. Windows clients failed to authenticate, but Apple iOS, Android, and even Windows 10 Tablets had no problem. The following error was logged into the Windows Security event log. Authentication Details: Connection Request Policy Name: Use Windows authentication for all users Network Policy Name: Wireless Users Authentication Provider: Windows Authentication Server: domaincontroller.domain.tld Authentication Type: PEAP EAP Type: - Account Session Identifier: - Logging Results: Accounting information was written to the local log file. Reason Code: 16 Reason: Authentication failed due to a user credentials mismatch. Either the user name provided does not map to an existing user account or the password was incorrect. Logging Results: Accounting information was written to the local log file. Reason: Authentication failed due to a user credentials mismatch. Either the user name provided does not map to an existing user account or the password was incorrect. The credentials were definitely correct, the customer and I tried different user and password combinations. I also checked the NPS network policy. When choosing PEAP as authentication type, the NPS needs a valid server certificate. This is necessary, because the EAP session is protected by a TLS tunnel. A valid certificate was given, in this case a wildcard certificate. A second certificate was also in place, this was a certificate for the domain controller from the internal enterprise CA. It was an educated guess, but I disabled the server certificate check for the WPA2-Enterprise conntection, and the client was able to login into the WiFi. This clearly showed, that the certificate was the problem. But it was valid, all necessary CA certificates were in place and there was no reason, why the certificate was the cause. The customer told me, that they installed updates on friday (today is monday), and a reboot of the domain controller was issued. This also restarted the NPS service, and with this restart, the Wildcard certificate was used for client connections. I switched to the domain controller certificate, restarted the NPS, and all Windows clients were again able to connect to the WiFi. Try to avoid Wildcard certificates, or at least check the certificate that is used by the NPS, if you get authentication error with reason code 16. This entry was posted in Networking, Security, Software and tagged cisco, meraki, microsoft, networking, nps, sophos, troubleshooting, wifi, windows on February 25, 2019 by Patrick Terlisten. Help Vembu and win a gift card! Vembu Technologies was founded in 2002, and with 60.000 customers and more than 4000 partners, Vembu is a leading provider with a comprehensive portfolio of software products and cloud services to small and medium businesses. 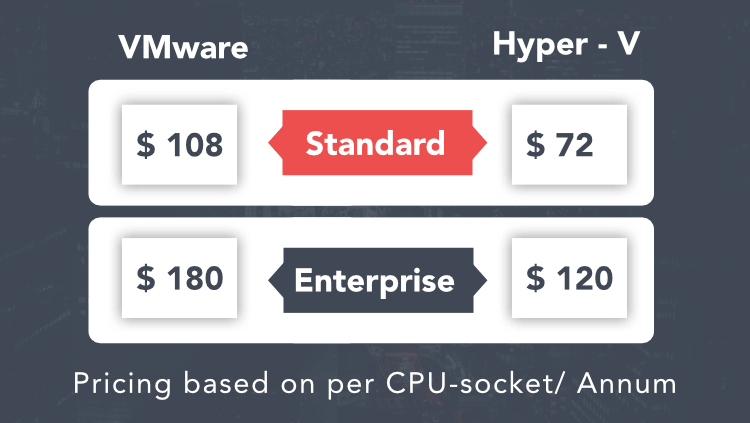 When I talk to SMB customers, most of them complain about the costs of backups. You need software, you need the hardware, and depending on the type of used hardware, you need media. And you should have a second copy of your data. In my opinion, tape is dead for SMB customers. HPE for example, offers pretty smart disk-based backup solutions, like the HPE StoreOnce. 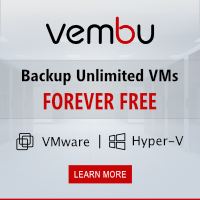 Vembu BDR Suite provides a 30-day free trial with no restriction. 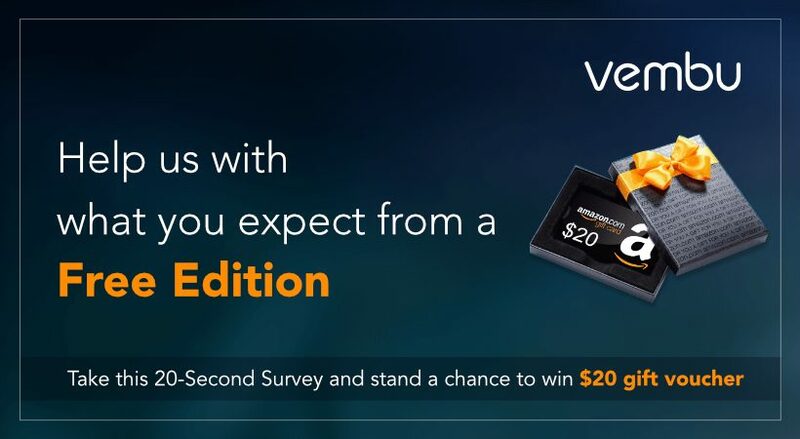 This gives you the chance to intensively test Vembu BDR Suite prior purchase. The free edition let you choose between unlimited VMs, that are covered with limited functionality, or unlimited functionality for up to 3 VMs. Check out this comparison of free, standard and enterprise edition. Check out this comparison of free, standard and enterprise edition. This entry was posted in Backup, Software, Storage and tagged backup, hyper-v, microsoft, vembu, vmware on February 22, 2019 by Patrick Terlisten. Last week, a customer complained that he could not send emails with pictures with the native iOS email app. He attached three, four or five pictures to an emails, pushed the send button and instantly an error was displayed. We checked the different connectors as well as the organizational limit for messages. The test mails were between 10 to 20 MB, and the message size limit was much higher. For any message size limit, you need to set a value that’s larger than the actual size you want enforced. This accounts for the Base64 encoding of attachments and other binary data. Base64 encoding increases the size of the message by approximately 33%, so the value you specify should be approximately 33% larger than the actual message size you want enforced. For example, if you specify a maximum message size value of 64 MB, you can expect a realistic maximum message size of approximately 48 MB. The message size limit for Active Sync is 10 MB (Source). This is a server limit which can’t configured using the Exchange Admin Center. Taking the 33% Base64 overhead into account, the message size limit is ~ 6,5 MB. My customer and I were able to proof this assumption. 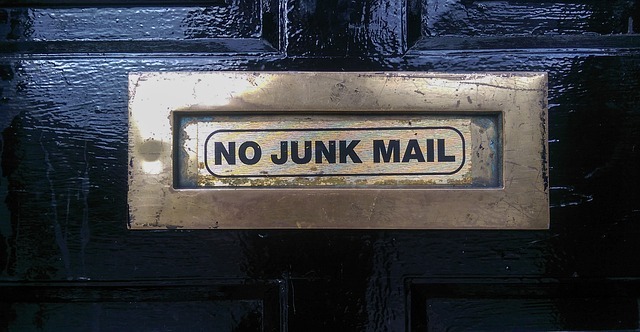 A 10 MB mail stuck in the outbox, a 6 MB mail was sent. How to change client-specific message size limits? In this case, my customer and I only changed the Active Sync limit. You can use the commands below to change the limit. This will rise the limit to ~ 67 MB. Without the Base64 overhead, this values allow messages sizes up to 50 MB. You have to run these commands from an administrative CMD. Make sure that you restart the IIS after the changes. Run iisreset from an administrative CMD. Any customized Exchange or Internet Information Server (IIS) settings that you made in Exchange XML application configuration files on the Exchange server (for example, web.config files or the EdgeTransport.exe.config file) will be overwritten when you install an Exchange CU. Be sure save this information so you can easily re-apply the settings after the install. After you install the Exchange CU, you need to re-configure these settings. The maximum size for a message sent by Exchange Web Services clients is 64 MB, which is much more that the 10 MB for Active Sync. This might explain why customers, that use Outlook for iOS app, might not recognize this issue. EDIT: Today I found a blog post written by Frank Zöchling in June 2018, which addresses this topic. This entry was posted in Software and tagged exchange, microsoft, troubleshooting on January 26, 2019 by Patrick Terlisten. to guarantee a consistent backup. 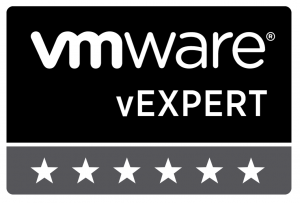 The former persmission is granted by the user account that is used to access the VMware vCenter server (sorry for the VMW focust at this point). Usually, this account has the Administrator role granted at the vCenter Server level. The latter permission is granted by a user account that has permissions inside the guest operating system. Something I often see in customer environments is the usage of the Domain Administrator account. But why? Because everything works when this account is used! In simple words: Many customers use the same account to connect to the vCenter, and for the application-aware processing of Veeam Backup & Replication. At least for Windows servers backups. Everything is fine until customers have to secure their environments. 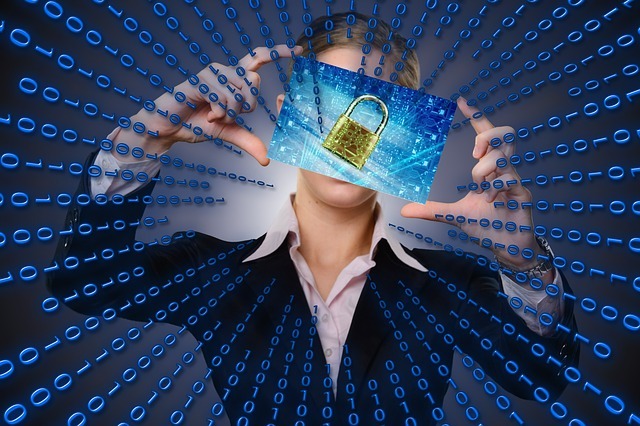 One of the very first things customers do, is to protect the Administrator account. And at this point, things might go wrong. Using a service account to connect to the vCenter server is easy. This can be any account from the Active Directory, or from the embedded VMware SSO domain. I tend to create a dedicated AD-based service account. For the necessary permissions in the vCenter, you can grant this account Administrator permissions, or you can create a new user role in the vCenter. Veeam offers a PDF document which documents the necessary permissions for the different Veeam tasks. The next challenge is the application-aware processing. For Microsoft SQL Server, the user account must have the sysadmin privileges on the Microsoft SQL Server. For Microsoft Exchange, the user must be member of the local Administrator group. But in case of a Active Directory Domain Contoller things get complicated. A Domain Controller does not have a local user database (SAM). So what user account or group membership is needed to backup a domain controller using application-aware processing? Permissions: Administrative rights for target Active Directory. Account of an enterprise administrator or domain administrator. So the service account used to backup a domain controller is one of the most powerful accounts in the active directory. There is no other way. You need a Domain or Enterprise Administrator account. I tend to create a dedicated account for this task. 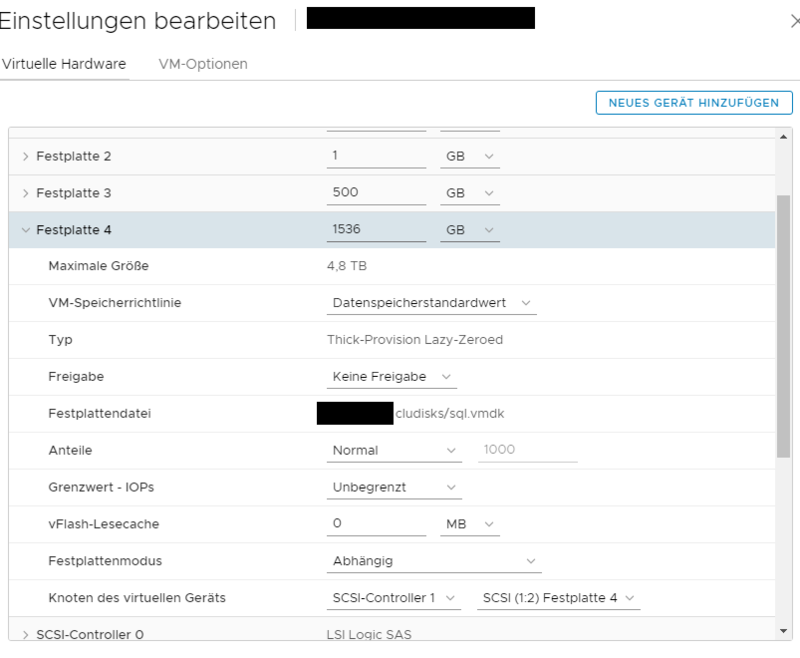 I recommend to create a service account to connect the vCenter, and which is added to the local Administrator group on the servers to backup, and I create a dedicated Domain/ Enterprise Administrator account to backup the virtual Domain Controllers. The advantage is that I can change apply different fine-grained password policies to this accounts. Sure, you can add more security by creating more accounts for different servers, and applications, add a dedicated role to the vCenter for Veeam etc. But this apporach is easy enough to implement, and adds a significant amount of user account security to every environment that is still using DOMAIN\Administrator to backup their VMs. This entry was posted in Backup, Operations, Software and tagged active directory, backup, microsoft, veeam on January 1, 2019 by Patrick Terlisten. Today I had an interesting support call. 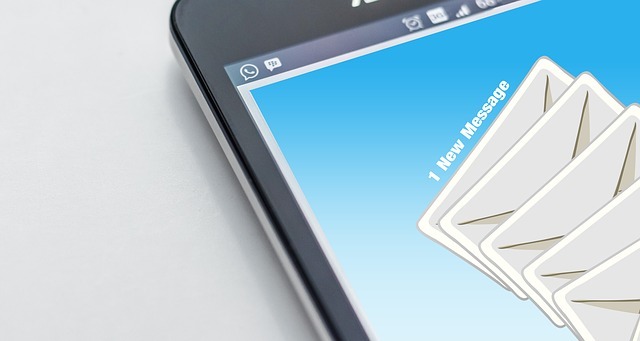 A customer noticed that Out-of-Office replies were not received by recipients, even though the OoO option were enabled for internal and external recipients. Internal recipients got the OoO reply, but none of the external recipients. The Message Tracking Log is a good point to start. I quickly discovered that the Exchange server was unable to send the OoO mails. You can use the eventid FAIL to get a list of all failed messages. Very interesting was the RecipientStatus of a failed mail. 550 Requested action not taken: mailbox unavailable is a pretty interesting error when sending mails over a mail relay of your ISP. Especially when other mails were successfully sent over the same mail relay. The protocol log can be found under %ExchangeInstallPath%TransportRoles\Logs\Hub\ProtocolLog\SmtpSend. 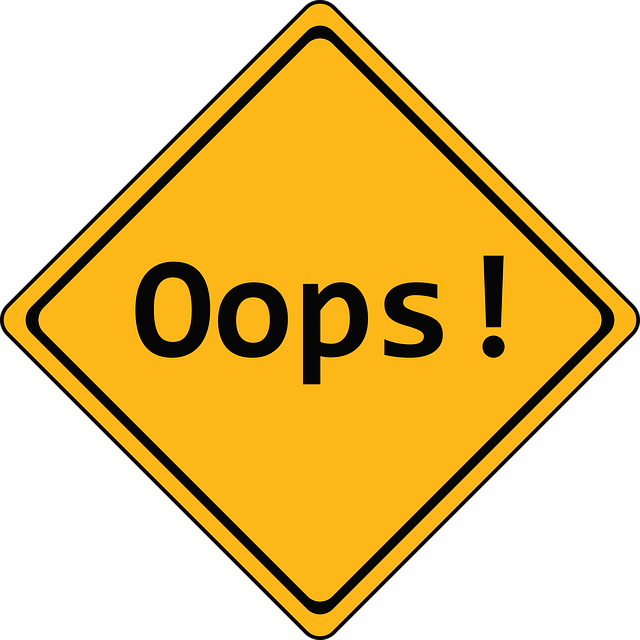 The error occured right after the exchange server issued MAIL FROM:<> . But why is the MAIL FROM empty? to be sent in response to an MDN. So the empty MAIL FROM is something that a mail relay should expect. In case of my customer that mail relay seems to act different. Maybe some kind of spam protection. This entry was posted in Server, Software and tagged exchange, microsoft, outlook, troubleshooting on December 20, 2018 by Patrick Terlisten. As part of a maintenance job I had to update a 2-node Exchange Database Availability Group and a file-share witness server. After the installation of Windows updates on the witness server and the obligatory reboot, the witness left in a failed state. Set-DatabaseAvailabilityGroup cmdlet to re-create the witness server and the directory. In my opinion, the re-creation of the witness server and the witness directory cannot be the correct way to solve this. There must be another way to solve this. In addition to this: The server was not dead. Only a reboot occured. Both DAG nodes were online and working. A good starting point is a check of the cluster resources using the PowerShell. In my case the cluster resource for the File Share Witness was in a failed state. A simple Start-ClusterResource solved my issue immediately. In this case, it seems that the the cluster has marked the file share witness as unreliable, thus the resource was not started after the file share witness was back online again. In this case, I managed it to manually bring it back online by running Start-ClusterResource on one of the DAG members. This entry was posted in Server, Software and tagged cluster, exchange, microsoft, troubleshooting, windows on December 20, 2018 by Patrick Terlisten. This is only a short blog post to document a solution for a very annoying problem. After the automatic update of my Outlook to the latest Office 365 build (version 1809), it has started to prompting for credentials. I’m using Outlook to access a Microsoft Exchange 2016 server (on-premises), without any hybrid configuration. A pretty simple and plain Exchange 2016 on-prem deployment. I knew, that it has to be related to Office 365, because the Outlook 2016 on my PC at the office was not affected. Only the two Office 365 deployments on my ThinkPad T480s and ThinkPad X250. To make this long story short: ExcludeExplicitO365Endpoint is the key! You have to add a DWORD under HKEY_CURRENT_USER\Software\Microsoft\Office\16.0\Outlook\AutoDiscover. Restart your computer and the annoying credentials prompts are gone. This entry was posted in Software and tagged exchange, microsoft, office 365, outlook on October 16, 2018 by Patrick Terlisten. 802.1x was no big deal, mac-based authentication failed. Okay, let’s take a look into the event log of the NPS… okay, there are the success events for my 802.1x authentication… but where are the failed login attempts? Not a single one was logged. A short Google search showed me the right direction. In this case, the NPS role was installed on a Windows Server 2016 domain controller. And it was a german installation, so the output of the commands is also in german. If you have an OS installed in english, you must replace “Netzwerkrichtlinienserver” with “Network Policy Server”. Copyright (C) 2016 Microsoft Corporation. Alle Rechte vorbehalten. PS C:\Windows\system32> auditpol /get /subcategory:"Netzwerkrichtlinienserver"
As you can see, only successful logon and logoff events were logged. 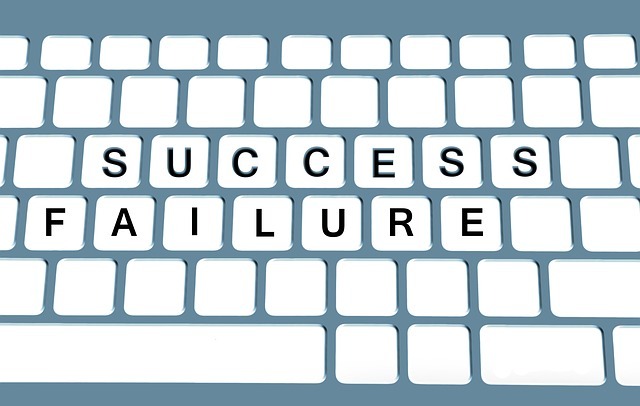 The option /success:enable /failure:enable activeates the logging of successful and failed logon and logoff attempts. This entry was posted in Security, Server, Software and tagged microsoft, networking, nps, radius, security, windows on July 17, 2018 by Patrick Terlisten.